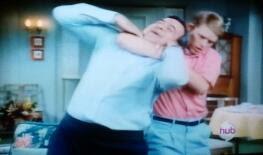 Hugh's World: Richie chokes his Pops. This is just a pic I like. No need to explain.